We love Audi! The Best Service and Repair of Audi Vehicles in Truckee! 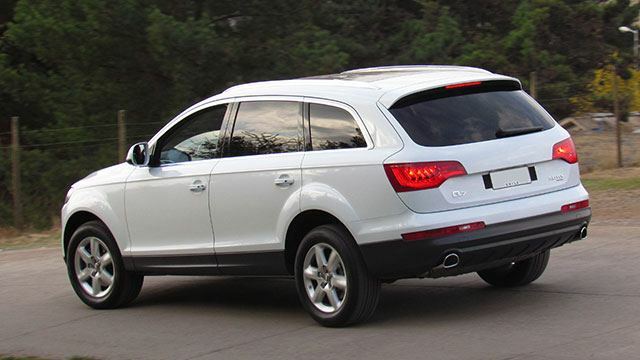 The auto repair team at Quality Automotive and Smog know that there is no doubt that Audi vehicles are a favorite among Truckee and Lake Tahoe drivers who value performance and drivability. In fact, two of our auto mechanics are diagnostic experts and Audi master technicians. If you own an Audi, you probably like the motor: a smooth sounding power plant known to “purr.” At Quality Automotive and Smog, to keep your Audi in “purr” condition we use only Audi parts and premium fluids. Audi customers are seeking longevity from their cars and value expertly executed service and repair. Know that our ASE Master-Certified team will always provide the kind of work discerning customers demand. When you make an appointment for Audi repair, oil service or leak issues with Quality Automotive and Smog, you can trust that your car will get you to your destination safely. “Absolutely impressed with the service. They had no time for a repair on Friday afternoon when I came. However, Mark asked me to show what is wrong with my Audi Q7. After listening to the noises from the rear wheel and driving the car, Mark squeezed me into the schedule to check the wheel, quickly discovered it was a broken emergency brake and fixed it. I was charged very reasonably for the service. Everybody in the office was very nice. I would definitely recommend the shop to everybody.” -- Zhirafo V.
You will not find a more qualified, honest, and friendly auto repair shop than Quality Automotive and Smog in Truckee. Whether you live in Tahoe City, North Lake Tahoe, Kings Beach, Carnelian Bay, or beyond, we are your home team for all things Audi. We are loyal to our customers and encourage you to take advantage of our ServicePlus Red Check program that includes an extended warranty, free local towing, seasonal benefits, and a dividend program. We are conveniently located at 11500 Donner Pass Rd, Unit D, Truckee, CA 96161. It’s easy to find us, and easy to find a good cup of coffee, food, or a new pair of skis/bike nearby while we work on your car. In the summer, you may consider borrowing our electric bike to tour Donner Lake while you wait. Open Monday - Friday from 8:00 AM - 5:00 PM, and closed from noon to 1 PM. Request your appointment online today!